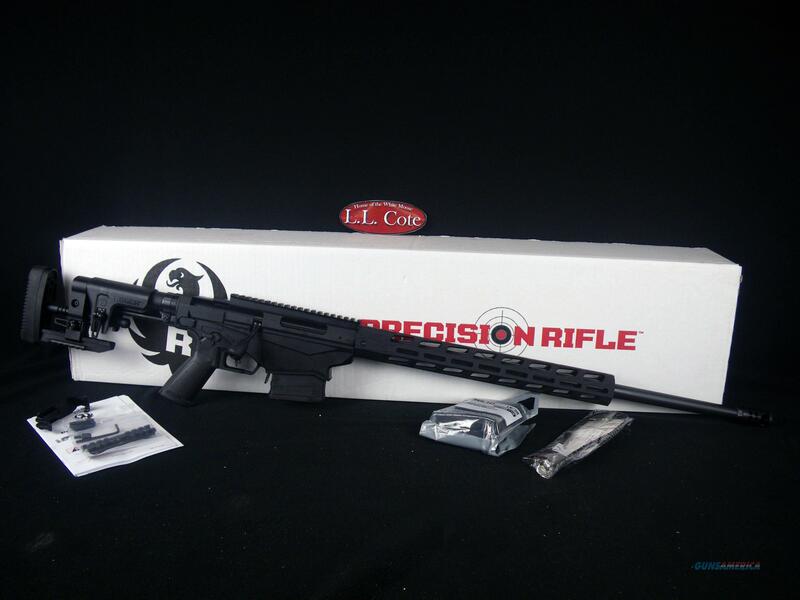 Description: You are bidding on a Ruger Precision Rifle in 6.5 Creedmoor with a 24" Barrel. New for 2018 and now equipped with a 15" Free-Float M-LOK handguard, the Ruger Precision Rifle 6.5 Creedmoor is the precision rifle standard. Other new enhancements include a Hybrid Muzzle Brake, which effectively reduces recoil by 40% in 6.5 Creedmoor models. The Precision rifle ships with two, 10-round Magpul® PMAG® magazines. Displayed images are stock photos. Any questions please feel free to ask (our phone number is in the additional information tab above).